The older someone gets the harder it is to find them the perfect birthday present. So why not just throw in the towel and go the gag gift route instead? This amazing musical card plays Happy Birthday to help someone celebrate their big day, except once started the only way to silence the card is to destroy it. Inside the mostly blank card there’s plenty of space to write a custom, heartfelt message to whoever is turning a day older, but there’s also a button to start the music playing, making your sentiments extra meaningful. However, there’s no button to stop the song, and closing the card doesn’t do anything. 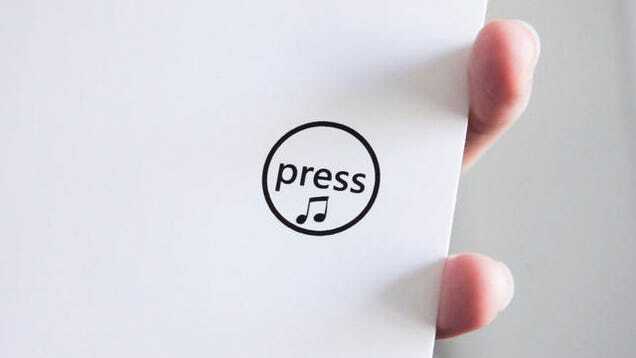 In fact, every time they try to hit the button inside to stop the music, the card actually just gets louder and louder with four levels of increasing volume. The only way to stop the card is to completely destroy it, shredding its electronics to bits (it even keeps playing underwater) or waiting until its battery is completely dead. But the destructive route is probably the better option because in testing the card has played for up to five hours straight before dying. Amazing.